Believe it or not, there are still people on the planet for whom Pac-Man and videogames are synonymous. Their awareness of Mario is minimal, maybe begrudging. They might have heard of Call of Duty or Grand Theft Auto, but the surrounding controversies or sales records only register as cultural blips to them. Those games are names on a Christmas list to be checked off and forgotten. Angry Birds is the most likely candidate for dethroning Namco’s 30-year-old mascot. On Christmas Day alone, the game was downloaded six and a half million times. Maybe that number says more about the number of smartphones and tablets sold this holiday than the quality of Angry Birds, but the fact that one game has captured the imaginations and attention of so many people is significant. Some would call the huge popularity of Rovio’s mobile game a sign of the apocalypse. But I call it an opportunity – another chance to get it right. Looking back it is not hard to see Pac-Man as a lost opportunity to connect with the populace. Sure, for a minute or two, smart merchandisers sold more than a few bedsheets and boxes of sugared cereal, but the cultural connection didn’t hold. Pac-Man fever was an opportunity to cash in. That’s why the death of the arcade and the first true videogame crash followed the Pac-Man phenomenon. Even the people who made games treated videogames like a fad. And that’s why many stopped paying attention. Nintendo and Mario revived the moldering corpse of gaming. Thank goodness. Their contribution to the mainstreaming of videogames is almost impossible to calculate, but what has Nintendo done for us lately? I’ve said before that the Wii feels like a hugely successful failure. Nintendo sold lots of consoles and games, but their foothold into greater culture slipped as soon as it was planted. Nintendo put videogames in the hands of millions of people who hadn’t touched a game since Pac-Man. Those were exciting times. But looking back they feel like a missed opportunity. Nintendo somehow failed to seal the deal. Now is the time to tell your friends and neighbors about the iPhone games they should be playing. The Angry Birds phenomenon represents another chance to lure the fad-driven masses into gaming. I don’t think Rovio can be trusted, or expected, to develop their connection with the audience in the long term. It is more likely that they’ll ride this oil strike as long as it spews black gold. But the opportunities for others are great. Millions have smartphones in their pockets. And there are millions of moments between bored bouts of Angry Birds when games can connect and capture the imaginations of these potential recruits. The app boom is old news to entrepreneurs. But for gaming evangelists it is time to redouble our efforts. If you hate Angry Birds as a rip-off or crass marketing, put your money where your mouth is. Now is the time to tell your friends and neighbors about the iPhone games they should be playing. Now is the time to think about the best kinds of games to suggest to different kinds of people. When I see a kid on the street wearing an Angry Birds hoodie, I don’t shake my head, disappointed that such a crappy game is getting all the attention. I try to imagine the game that will transform that kid’s momentary interest into lifelong passion. That game exists. And it is down to us to put that game into willing hands. 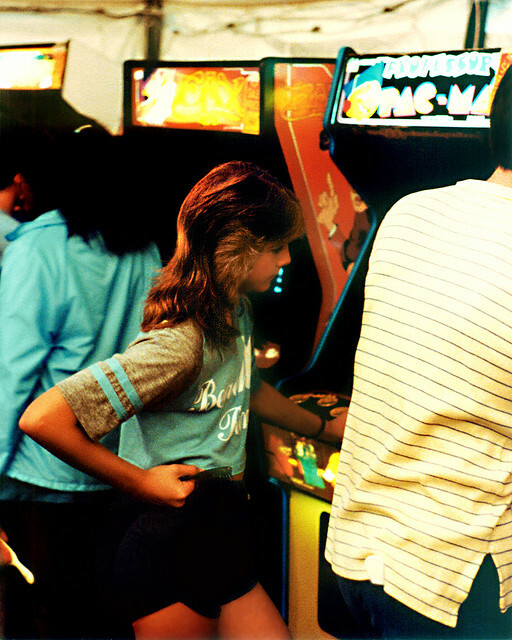 Pretension +1 is a weekly column by Gus Mastrapa about the cultural impact of videogames. Follow him on Twitter for more ramblings on games, metal and other geeky subjects.